Moving can be exciting, but it's also a stressful endeavor thanks to the packing, cleaning, hauling furniture, and unloading boxes that comes with it. It's enough rile up even the most easy-going person. And while moving to a new home can leave one feeling out of place, a thoughtful housewarming gift is the perfect way to help your friend or loved one embrace their new space a bit quicker. While you can never truly go wrong with a fancy bottle of wine or a beautiful houseplant, it's nice to be able to give something that makes a person feel truly at home – whether it's for your best friend or the new neighbor who just moved in next door. Finding the ideal gift depends on what stage of life the person is in, what kind of space they're moving into, your budget, and other considerations. To help you find the best housewarming gift for a friend or loved one who is getting settled in their new home, we've put together some helpful tips and guidance to simplify your shopping experience. When it comes to choosing a housewarming gift idea that's sure to be a hit, think about what stage of life the person you're buying for is in. Are they fresh out of school, just starting out and without basic supplies? Practical picks like essentials or gift sets are usually a sure bet for these recipients. On the other hand, consumables may be a better fit for someone who is already well-established and has everything they need. You should also think about the size and layout of their new home. A smaller condo or townhome won't have room for large or lavish housewarming gifts, but such gift ideas might be suitable for a young family upgrading to a larger home. If a person is downsizing, try not to gift them with something that's going to take up a ton of space. Finally, think about how much you would like to spend. It's easier to narrow down your housewarming gift options if you have a price range in mind. Not sure where to start? Check out our top five housewarming gift ideas below. It can be challenging to avoid giving the same old houseplant or bottle of wine when it comes to housewarming gift-giving, but we've found five top-notch options that might make the perfect gift for the new homeowner in your life. Even if the perfect gift for your friend or loved one isn't on the list below, these ideas might just inspire you to come up with a unique gift that's perfect for your friend's or loved one's new home. A customized gift is an incredibly thoughtful way to help someone special in your life to celebrate their new home. 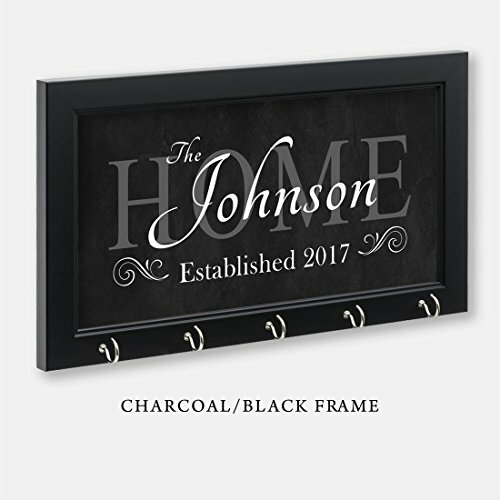 This personalized key holder is available in a variety of colors to suit every personal style and home decor, and is made from quality MDF material to provide years of use. Each time they come in the door, they'll be reminded of your thoughtfulness when they hang their keys up. There are five hooks included, providing plenty of space for everyone's keys to hang. It isn't something many people necessarily think of when shopping for their new home, but a key holder is useful item to have to help stay organized and get out the door faster in the morning, making this gift idea a great choice for the busy family or professional. 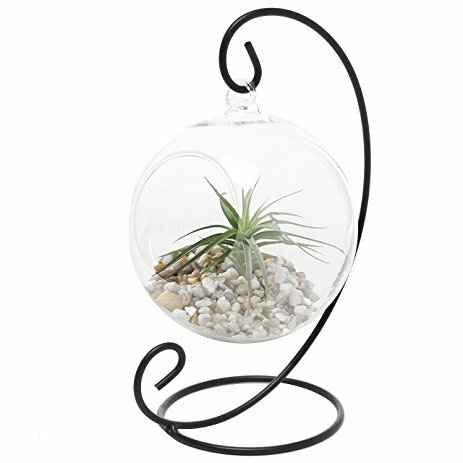 Go beyond the basic housewarming plant with this cool and funky hanging terrarium. Not only can it be used on the included stand, but the globe can sit steady on its own. The black metal stand is a stylish complement to any decor, and it can be filled with various items including small decorative items, air plants, or candles. New homeowners will appreciate its compact size and lightweight design, which makes it ideal for placing in any room of the home for an added touch of style and elegance. Perfect for the homeowner who is just starting out, this thoughtful gift set includes many of the essential kitchen items required for making healthy eats at home. It comes with a set of measuring spoons, a spatula, a wooden spoon, a slotted spoon, a pastry brush, and small hand grater. 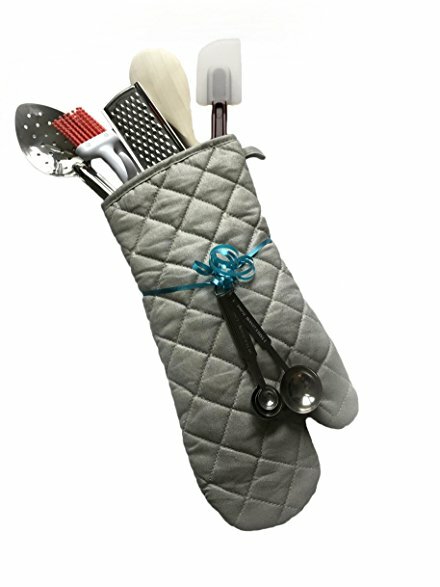 It's all tucked neatly inside a soft oven mitt, which has been designed to withstand temperatures of up to 200 degrees. If you want to add to this gift, some homemade baked goods or an invitation to brunch or dinner would complete it nicely. While it is well-suited for the first-time homebuyer, it also makes a practical send-off to the new college student. Without question, becoming a new homeowner means that your budget is sure to be stretched thin for a little bit. 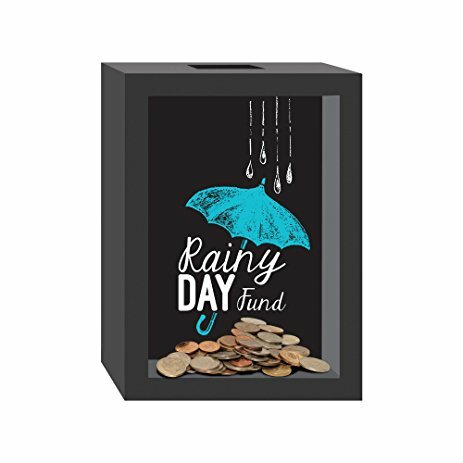 This adorable shadow box doubles as a unique decor item and a functional savings bank for the inevitable rainy day. The sleek black frame helps add a clever statement to any room in the home. It measures approximately 5x7 inches and features an opening on the top through which to add your funds. It features small metal tabs along the backside that can easily be opened in case they need to crack into the cash. For a fun twist, you can even add some spare change to get them started with their rainy-day savings. Welcome that new neighbor into the 'hood with a tasty, yet practical gift idea. 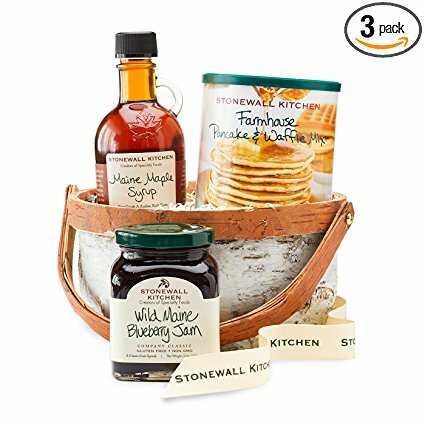 Packaged in an attractive birch basket, this gift comes complete with a container of pancake and waffle mix, blueberry jam, and maple syrup to help them get the best start to their day. There's no chance of misstep with this pick, as everyone's gotta eat, and why not start the day off right with a hearty homemade breakfast? Plus, you can earn extra brownie points by adding some of your own homemade goodies into the basket. Because who doesn't love a sweet treat to celebrate moving into their new digs?! Or, pop in a bottle of bubbly for some celebratory welcome-to-the-neighborhood mimosas. Moving into a new home can be a challenging transition, but finding a thoughtful gift to welcome someone doesn't have to be. If you can't come up with a great idea based on how well you know the person, their life stage, or what's missing from their place, these five ideas are great go-tos with broad appeal.